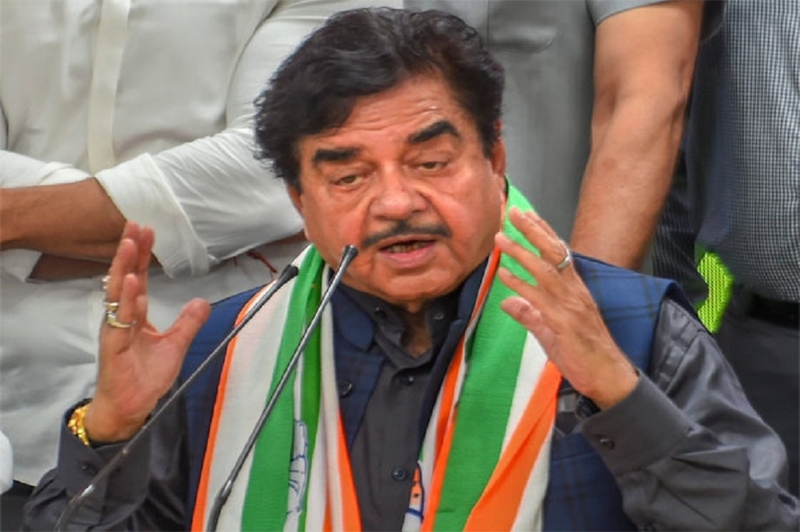 ACTOR-TURNED-politician Shatrughan Sinha arrived here on Friday on his first tour of his Lok Sabha constituency after quitting the BJP and joining the Congress and expressed confidence that he will retain the seat for a third time with a record margin. Sinha, who is a second-term MP from Patna Sahib told the posse of waiting journalists I had won 2014 LS polls with the highest margin for any seat in Bihar. This time, a new record will be established. Sinha popularly known as “Bihari Babu” had trounced famous Bhojpuri actor Kunal, fielded by Congress from the seat, in the last Parliamentary election. Before that in 2009, being a BJP candidate he had defeated fellow Bollywood colleague Sekhar Suman, fighting on Congress ticket. I have come here to fulfil the promise I had been making all through that the location will be the same even though the situation may be different. I am back to the same location. You all know under what circumstances I had to leave the BJP, Sinha who joined Congress last week said. Replying to a query, he said that my daughter Sonakshi did not campaign for me in the past nor would she do so this time. She is apolitical. Moreover, I am not dependent on star campaigners from outside to win an election in the city where I grew up.